Come Watch the Playoffs with Us at TopGolf, 9295 Universal Blvd., Orlando. For the 2018 season, we will be at TopGolf, 9295 Universal Blvd., Orlando. Orlando Chicago Bears Fans will have full sound during the game, Bear Down played after we score, free parking, food and drink specials! Orlando and Central Florida’s BEST place to watch Chicago Bears on TV! 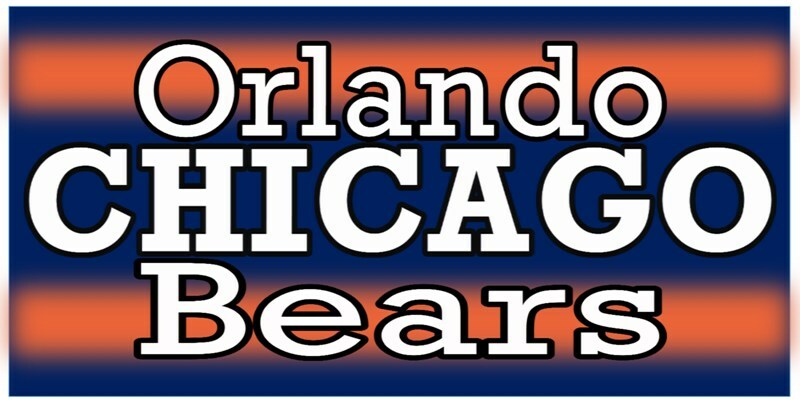 Come out and cheer on “DA BEARS” to victory whether you’re from outta town, Downtown, Orlando, Leesburg, Melbourne, Jacksonville, Winter Haven…where ever you’re from, we welcome you to join us! 2005-2008: Friendly Confines, Winter Park, Fl. 2008: 11/12 Sports Bar, Winter Park, Fl. 2009: Big Belly on Church Street, Downtown Orlando, Fl. Last two games of the 2012 season: Hooter’s Orlando Airport (MCO) Orlando, Fl. 2018 – Present: TopGolf, 9295 Universal Blvd., Orlando.